Early boats had telescoping beams for trailering. 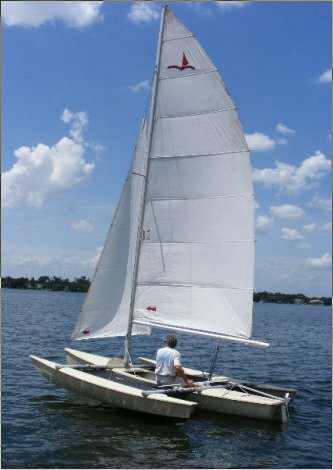 Later boats used a 'folding elbow' assembly. A feature article on the company appeared in 'Multihulls' magazine in 1977.